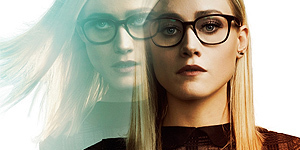 The gallery has been updated with screen captures from “The Magicians” episodes 4×11 – The 4-1-1 and 4×12 – The Secret Sea as well as with additional stills from both episodes and from the finale 4×13 – The Seam. Thanks to my friend at Arjun-Gupta.com for the stills! I can’t believe the SEASON FINALE airs in just two days. Where did the time go?! I’m not ready for the season to be over with!